What is needed from spiritual leaders during this time of uncertainty? I keep bumping into what I think are a few keys to answering that question. One of those keys is spiritual discernment – finding out what God is doing in our church and community. 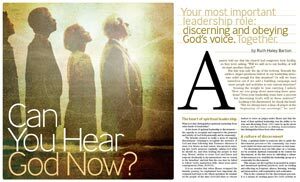 I thought Ruth Haley Barton did an excellent job of articulating this critical leadership role in her article titled “Can You Hear God Now” that was published in the Summer 2008 issue of Leadership Journal. “At the heart of spiritual leadership is discernment-the capacity to recognize and respond to the presence and activity of God both personally and in community. …discernment does not take place in a vacuum, nor by accident. Spiritual community is the context for discernment, so the first move in cultivating a culture of discernment is to establish the leadership group as a community for discernment. Discernment requires us to move beyond our reliance on cognition and intellectual hard work to a place of deep listening and response to the Spirit of God within and among us. Seeking discernment with others at the leadership level requires an extraordinary amount of safety in each other’s presence, along with great clarity about what values govern the process… We cannot just assume these values. We must talk about them and seek to live them with great vigor and intent. The discernment process requires a commitment to listen on many levels. …discernment is not the endgame. The endgame is to actually do the will of God. This week marks the 40th anniversary of the end of Thomas Merton’s life (1915-1968 ) which is being commemorated, in part, by a documentary produced by Morgan Atkinson that will air on PBS beginning tomorrow. Locally WFSU-TV didn’t place it very well on their schedule so set your DVR to record at either 2 or 4 am Monday. Logical thinkers love linkages – and cause and effect linkages are particularly satisfying. Of course not all cause and effects are cleanly linked so we often go with corollaries to allow for some slippage. Much of this blog has focused on leadership and leaders but not much has been said about non-leaders (perhaps a bit elitist?). Well here’s a post that includes the non-leaders – specifically how leaders effect non-leaders. To make these changes leaders need to embrace paradox, admit how little we know, and be prepared to grieve the loss of the old world along with the identity we personally invested in those places and ways. To do this we need nothing less than divine intervention and conversion. We can’t merely graft a new theory of formation onto an old root; we need a new tree. We are dealing with believers that don’t even see the need for spiritual formation. Are we finding our way out of the cold cellar? 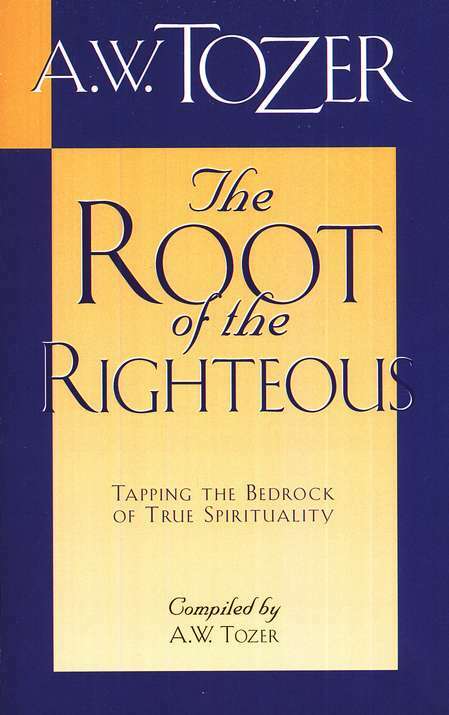 In The Root of the Righteous, A.W. Tozer begins the chapter “Christ Died for our Hearts” with the following: “The human heart lives by its sympathies and affections. In the day that will try every man’s works how much we know will not come in for much consideration. What and whom we have loved will be about all that matters then. For this reason we can never give too great care for the condition of our inner lives. “The vital place of the moral sympathies in human character has not in recent times received from our religious teachers the attention it deserves. We are only now emerging from a long ice age during which an undue emphasis was laid upon objective truth at the expense of subjective experience. The climate in evangelical circles was definitely chilly. We made the serious mistake of taking each other as criteria against which to judge our spiritual lives instead of comparing notes with Bible saints and with the superior lovers of God whose devotional works and inspired hymns linger like a holy fragrance long after they themselves have left this earthly scene. Scott Boren knows what works and what doesn’t when it comes to small groups. 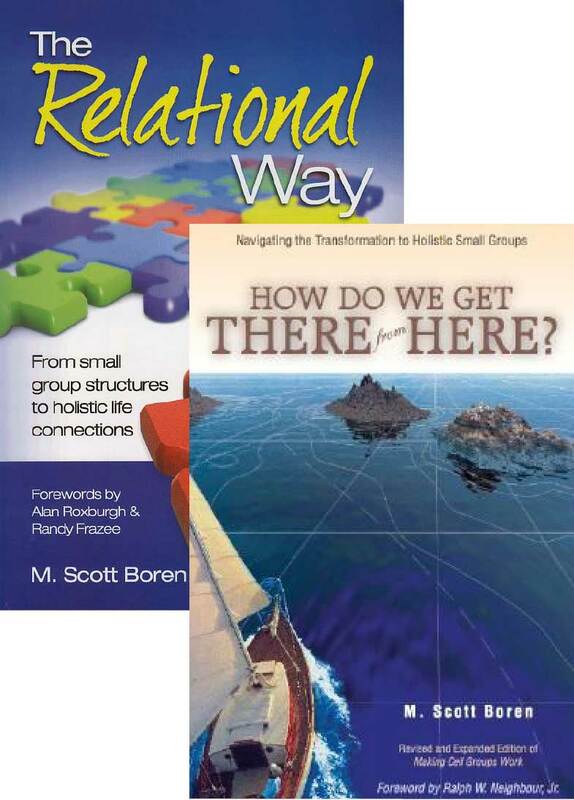 Both of his books are excellent resources for anyone engaged in forming or leading small groups. ♦ Small groups only work when they exist to change the world. ♦ The only way to train leaders is to mentor. ♦ The focus of small groups must be to expand the group ultimately to start new churches, train new pastors and impact the world. ♦ Small groups will not work if they are just about deep knowledge without reference to practical ways the group can live out what they discuss. You can read the Introduction here and a second sort of introduction titled Navigational Hazards here (where Scott discusses eight typcal hazards encountered by churches intentionally moving toward small groups). ECCLESIOLOGY: How does your church compare to the purpose and pattern of the Early Church? SOTERIOLOGY: A person from a Roman Catholic background asks you why you don’t pray to the Virgin Mary. How would you answer that person? SANCTIFICATION: In your desire to become Christ-like, what quality of God’s character do you need the most? THEOLOGY: What do you consider to be the greatest of God’s attributes and why? ANTHROPOLOGY: A new Christian, who is concerned for his unsaved family members, asks you where his deceased grandfather, who never heard the gospel, is in eternity. How would you answer him? ECCLESIOLOGY: I don’t need church. Organized religion really bothers me – I’d rather just go for a walk in the woods and meet with God there. SOTERIOLOGY: The whole idea of only one way to God is ridiculous. It’s so arrogant to say that Jesus is the only way. I’ve met a whole lot of people who are kinder and more compassionate than the Christians I’ve met. Those people seem more in touch with God. SANCTIFICATION: God loves me unconditionally. I know there are some issues I need to deal with eventually, but don’t throw this legalism on me and give me a code of rules I’m supposed to live by. That’s not the kind of God I want to serve. THEOLOGY: Jesus dying on the cross is so bloody and violent. How am I supposed to believe that a God who kills his own son in cold blood would love me? ANTHROPOLOGY: Christianity is all about men. God is a man, Jesus is a man, pastors are men, etc. How do I, as a woman, fit into a faith that seems to be all about men? Chad Hall authored a provocative perspective on “church” in 2004 (see below) that I think provides a helpful perspective for those of us seeking change in how we “do church” in North America. What Chad’s perspective opens up for us is the ability to separate in our thinking the institution from the church. This distinction may at first appear as a distinction without a difference but once you think it through it is very significant. One of my initial thoughts is to move toward a more accurate use of terms – perhaps we should begin calling our local church institutions “catalyst” rather than “church?” No doubt at first this would be awkward… First Baptist Catalyst, Redeemer Catalyst, etc. but it may help us refocus our effort and passion and appreciate the proper role and limitation of the institution. Furthermore, this refocusing is especially important during this time of liminality. We are quickly leaving modernity and the institutionalism of that period to a time that will likely see the church carried without strong association with institutional structures. “Anyone familiar with Bill Hybels has heard it: “The hope of the world is the local church.” On dozens of occasions, I heard the phrase and nodded in agreement. The phrase led me to commit or recommit myself to serving the local church. The phrase caused me to weep. The phrase gave orientation to my life and to my work. I’m starting to believe the hope of the world cannot possibly rest with the 501(c)3 not-for-profit religious organizations dotting our landscape and holding themselves out to be “churches.” It just can’t be true. It’s not that I doubt God or the unique and saving nature of Jesus; I truly believe Jesus is the hope of the world. I do not doubt that God’s plan is to empower and inspire ordinary people to carry the life-giving message of salvation. I do not even doubt that communities of believers are the God-ordained means for carrying out this grand plan. What I doubt is that what passes for “church” these days is the manifestation of Jesus in our world. I even doubt that my own church is a church. Why all the doubt? Like other congregations, the one I serve strives to be an authentic church, but we get in our own way. Simply put, our chief aim is not to connect people to God, each other, and the world, but to build an organization that does so. The distinction is subtle but significant. Building an organization isn’t an inherently evil thing to do, nor is it necessarily counterproductive to spiritual aims. Indeed, modernity gifted humans to become more efficient and effective in building organizations. Businesses, governments, and charities give us meaningful and productive work when they are better organized. There’s nothing wrong with that. But building an organization is not the same as being a church, even if the aim of the organization is to do the work of Jesus. Building an organization is an intoxicating substitute for being a church, because it allows us to work toward being a church without really being a church. We are right to be suspicious. But we are also knee-deep in this pursuit of church and we find it easy to ignore the obvious sense of dis-ease that bugs us. After all, we attend seminars and conferences, we read books and go to school, we pray and fast, we develop our leadership and preaching skills-all to the aim of organizing the church so that it can express and grow the Kingdom of God. But we never get there. The organization gets tweaked, and sometimes overhauled. We try an array of programs, processes, personalities and powerfully alliterated points. But a real live church is still beyond our experience. We just cannot organize well enough to accomplish the goal of building a church. The best we will do is to build an organization that is well-structured, well-balanced, and well-aimed at being a church. But the organization will never be a church.